You are holy and free from blame because of Jesus Christ's death. The sacrifice of Jesus Christ on the cross has done for each one of us what nothing else could do. Jesus completely reconciled us to His Father through His death so that He might present us holy and blameless to His Father. We are free from any accusation and the Father sees us completely spotless because of Jesus! God sees us this way because of the shed blood of Jesus and not for anything that we have done to earn or deserve His favor. The next time a condemning thought comes to your mind, remember this promise and the incredible power of the cross. 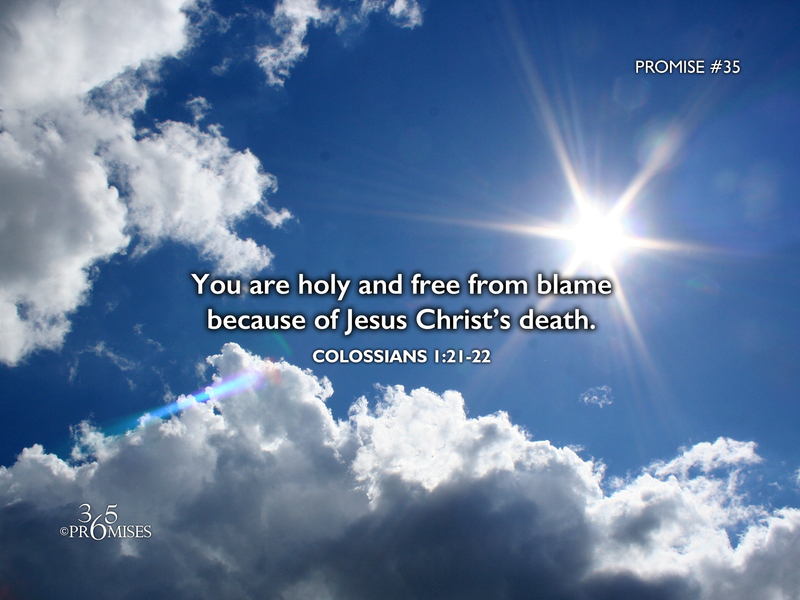 You are holy and completely free from blame because of Jesus Christ's death!